In Canada married woman and men typically wear a simple gold band to symbolize marriage. 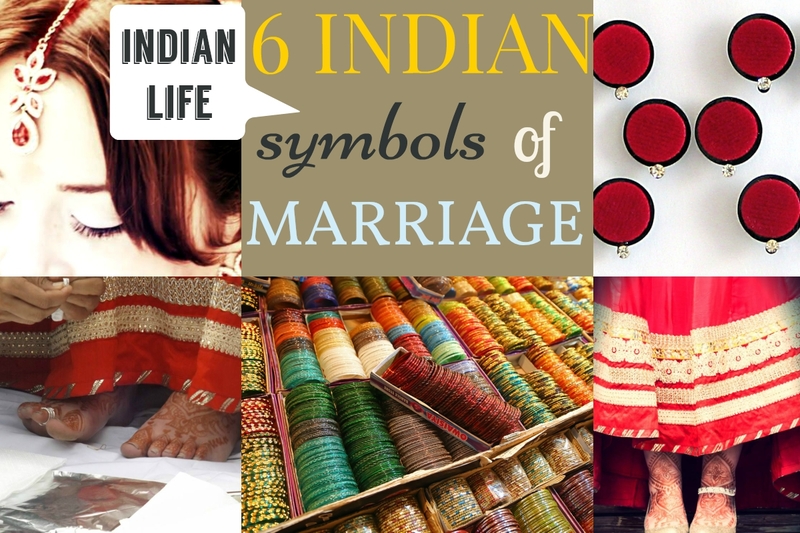 Though times in India are changing, tradition in India has various symbols to represent marriage. Sindoor is a red coloured powder applied at the parting of the hair. It's a universal sign of marriage in India and ceasing to wear it usually implies widowhood. Putting on sindoor is not just a ritual, but signifies a long life for her husband. Perhaps more of a scientific reason for wearing sindoor is the metal mercury which not only controls blood pressure it also activates a sexual drive. I always wear Sindoor while in India and during Festivals. 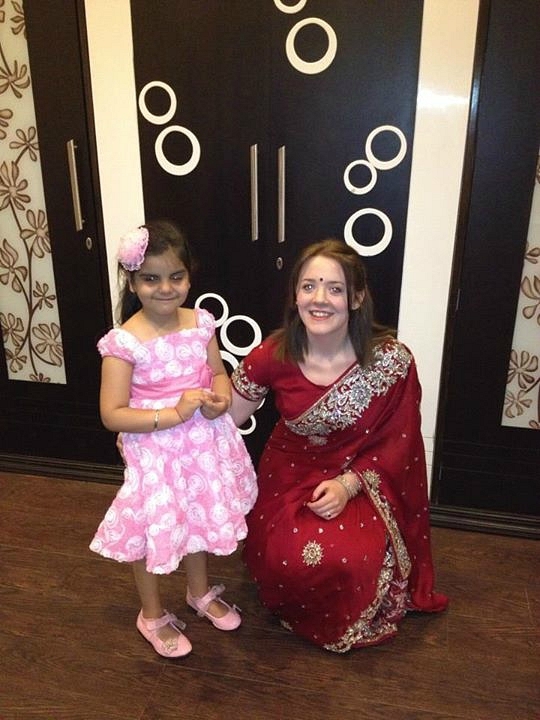 I often wear Sindoor in Western countries (when I remember! ), only one comment about my forehead "bleeding". A Bindi is typically described as a red circular dot (sticker) placed on the forehead. 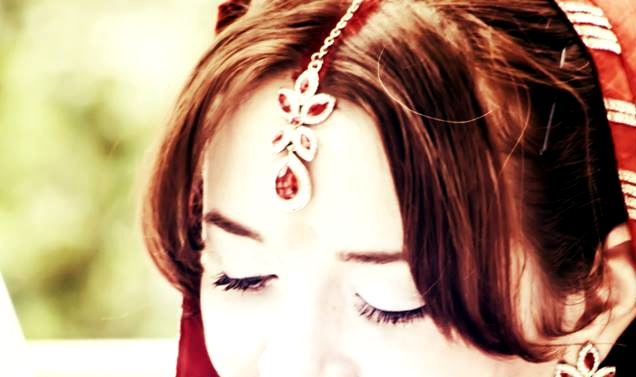 Though Bindi's can be seen on unmarried girls, its conventionally worn by married woman. Nowadays Bindi's come in various shapes and colours. I only wear Bindi's on Festivals or when visiting family. As one of the most important symbols of marriage, most Indian women wear silver Toe Rings otherwise known as Bichhua on their second toe after marriage. I never remove my rings and the look "trendy" and "cool" too! As with toe rings, Anklets are crafted from silver instead of gold. Gold is consider the metal of the Gods and should not be worn below the waist. 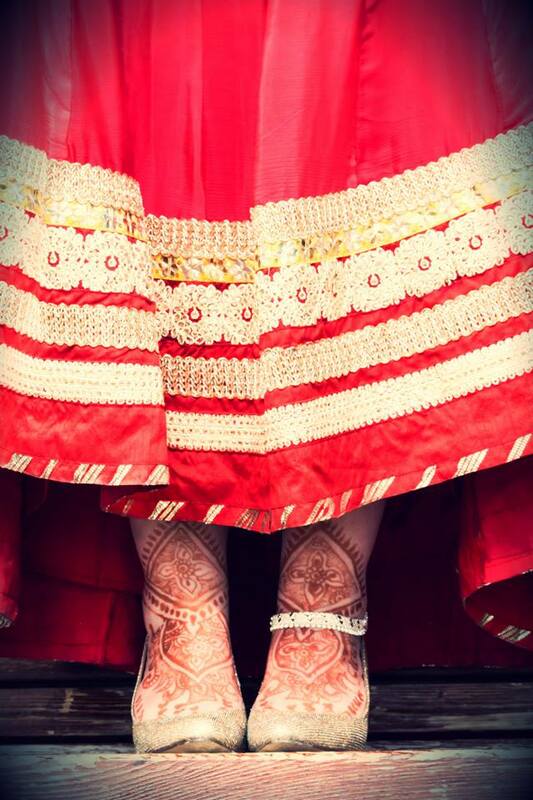 Anklets are worn by a bride to draw the attention of her presence and announce her entry to her groom’s house. Though an important part of a Brides jewellery, anklets can be worn by everyone including brides, young girls, and widows. Oops, one fell off! But we found it later! Mangalsutra is a thread tied by the husband around the brides neck during marriage and remains on the Bride throughout her marriage. The Mangalsutra varies between communities but is always made of gold and black beads. It's not custom for my family to wear the Mangalsutra. 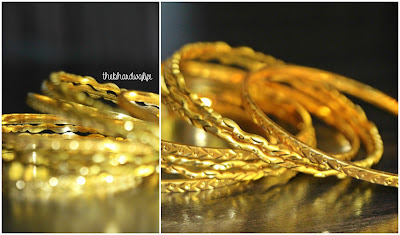 Bangles are worn by women of all ages all over India and not necessarily a sign of marriage. Married Hindu women typically always wear gold bangles along with glass bangles on her wrist as it symbolizes well-being of husband and sons. I have a few simple bangles I like to wear on a day to day basis and have an ever growing collection on coloured glass bangles! Ahh, so beautiful!! I would embrace rituals like this if they were this amazing!